Closer look at next year's release of the Air Jordan Retro 3. 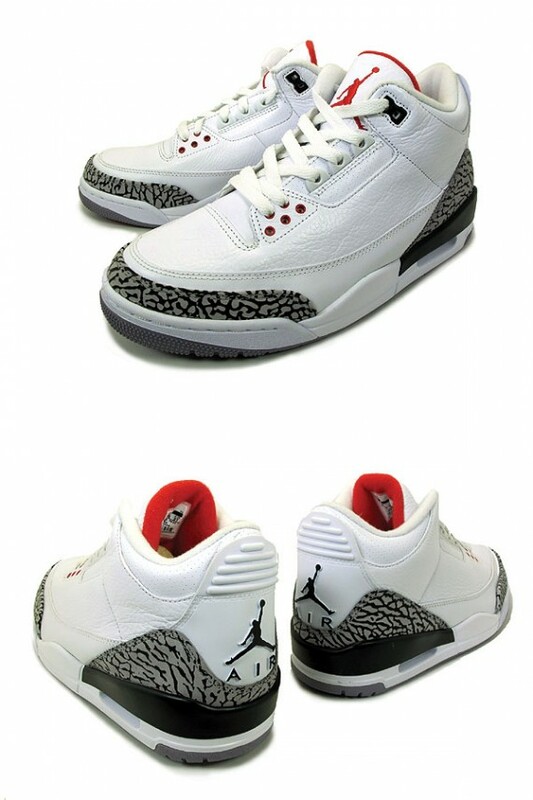 Arguably the most popular Air Jordan ever, the Air Jordan III is set to make a return next year in the ever so popular white and cement grey colorway. Last released in 2003, this edition of the Air Jordan Retro 3 has been long awaited for quite sometime by many collectors. Most would agree it is one of the most anticipated releases of 2011, while quite a few have expressed their frustration on the quality of recent releases of the Retro 3 and their fears of this release being no difference. Amazing quality or not, you can expect the return of the original Air Jordan III to be one to remember and one of the best of 2011. WiIl you be picking up a pair despite the worries of poor quality? Voice your opinion below!